Author does on the ground research! Research done before and during the writing of Pennyweight Flat was rigorous and engrossing. People from countries around the world came to Victoria in the 1850s, the reason I made my protagonist French. And according to the history books, the miners marching from Creswick to Ballarat to protest against the licence fee, and join the Eureka Stockade, were indeed accompanied by a band playing the Marseillaise! In the course of my research, with Bruce’s help, I ended up with a number of photos. 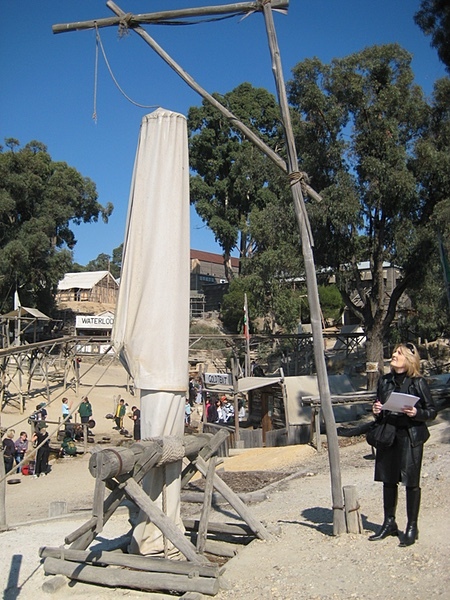 At Sovereign Hill I examine a windsail, the ingenious contraption used in the 1850s that sends relieving gusts of wind down the mineshaft. 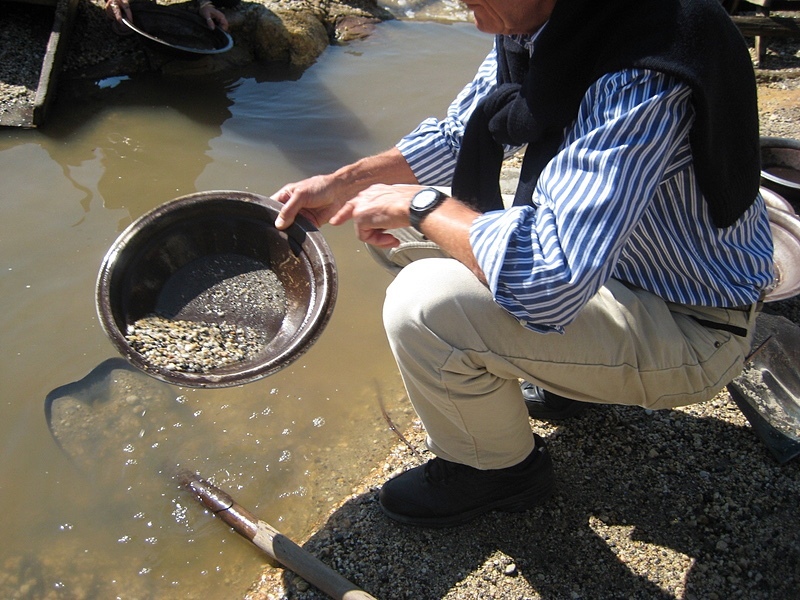 Bruce panning for gold – unsuccessfully! 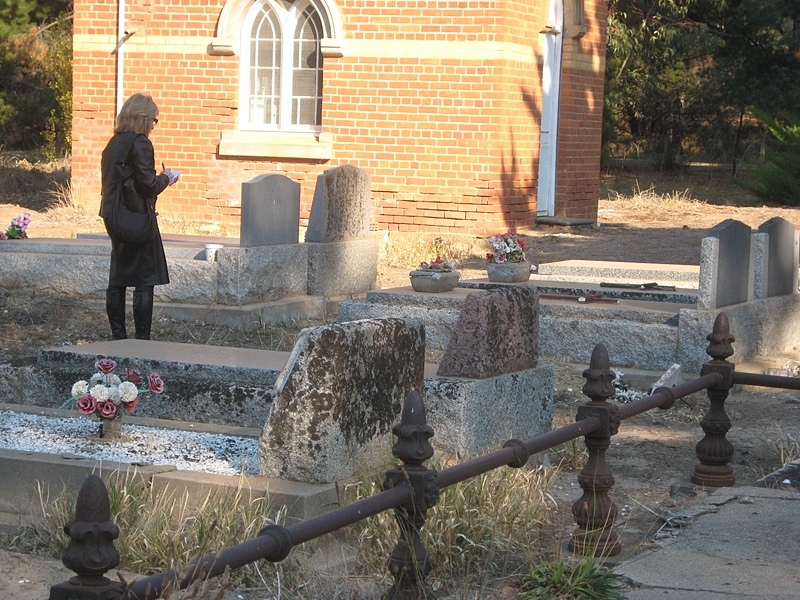 Here I'm taking notes at the Chewton [formerly Forest Creek] Cemetery, where many of my ancestors – inspiration for the story – are buried. 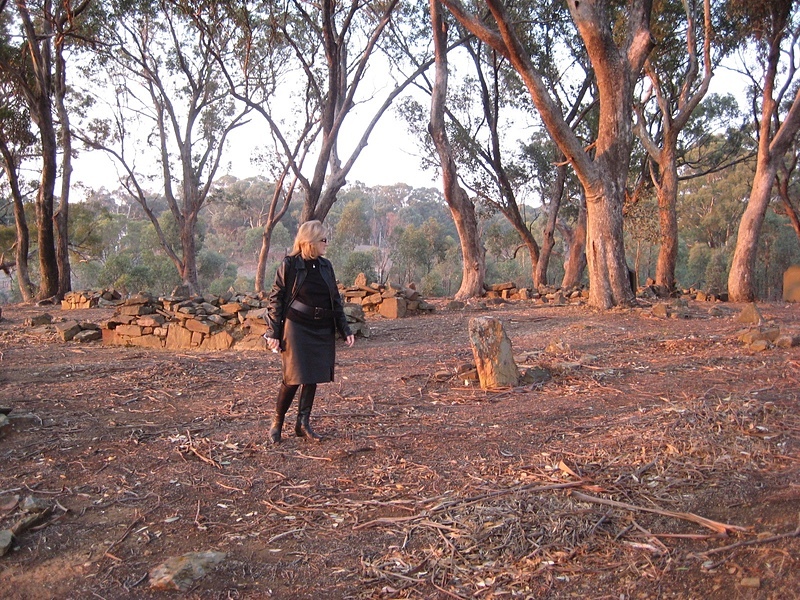 Pennyweight Flat, the children’s cemetery in Forest Creek, is a bleak reminder of the many children buried, for the most part, uncoffined. 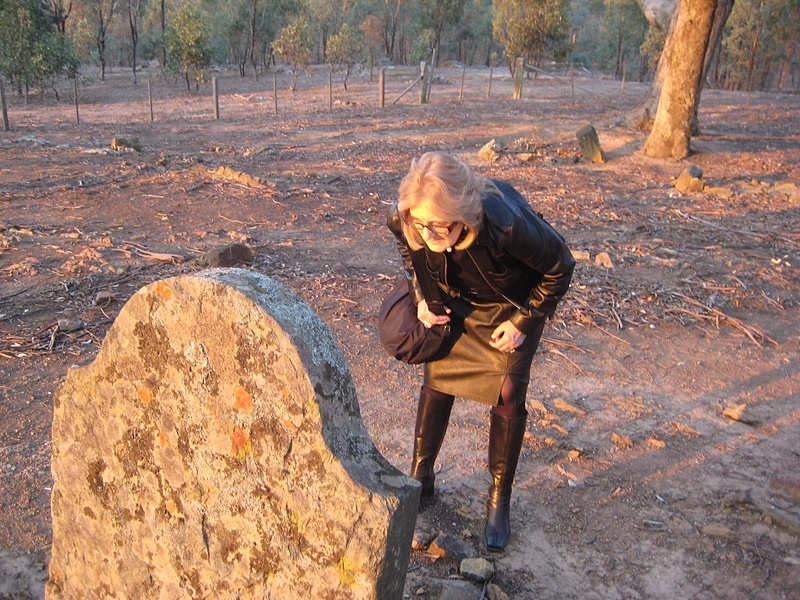 Here I read an engraved headstone. All other graves were marked with rough rock. A wider shot of Pennyweight Flat cemetery, showing the rocks marking the graves of children, some of whom had been buried in empty grocery boxes – although most were uncoffined. Typically children died of dysentery, pneumonia, typhoid, cholera and starvation. 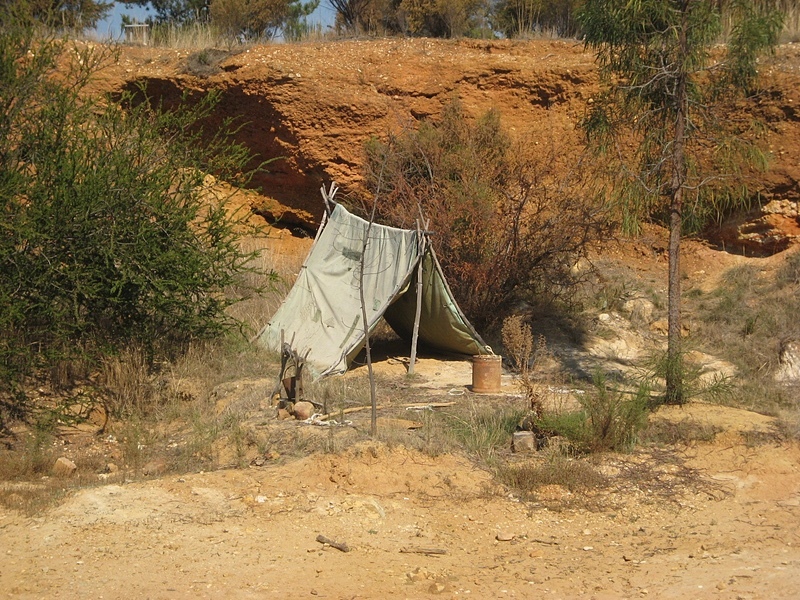 This photo, a tent in Forest Creek [now Chewton], shows the conditions many miners were forced to live under during the early 1850s when the gold rush began. Pretty basic! 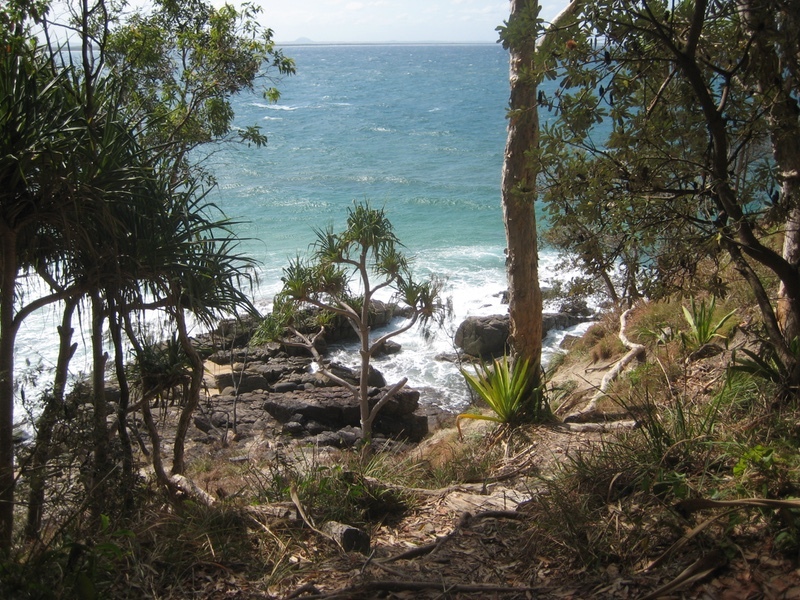 Looking down on Noosa’s north facing beach from the headlands track through the National Park, the most traversed trail in Queensland. Note the wonderful Pandanus Palms. 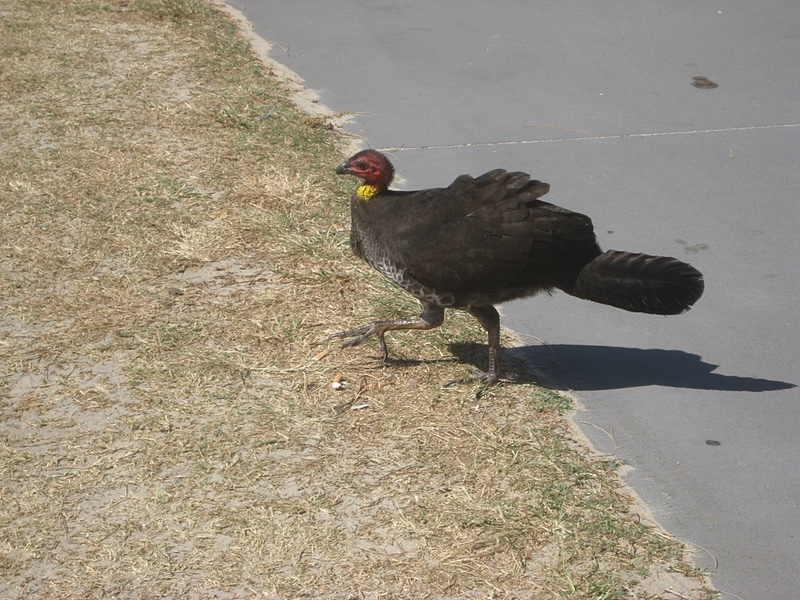 A brush turkey crosses our path on the way to the Spit. Blown by the wind! 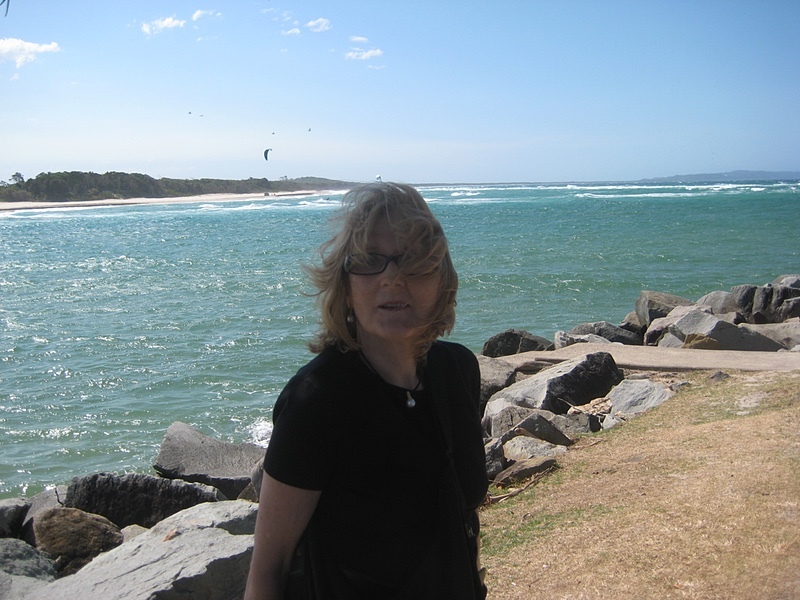 The kite surfers in the background gave me food for thought when writing haiku later. 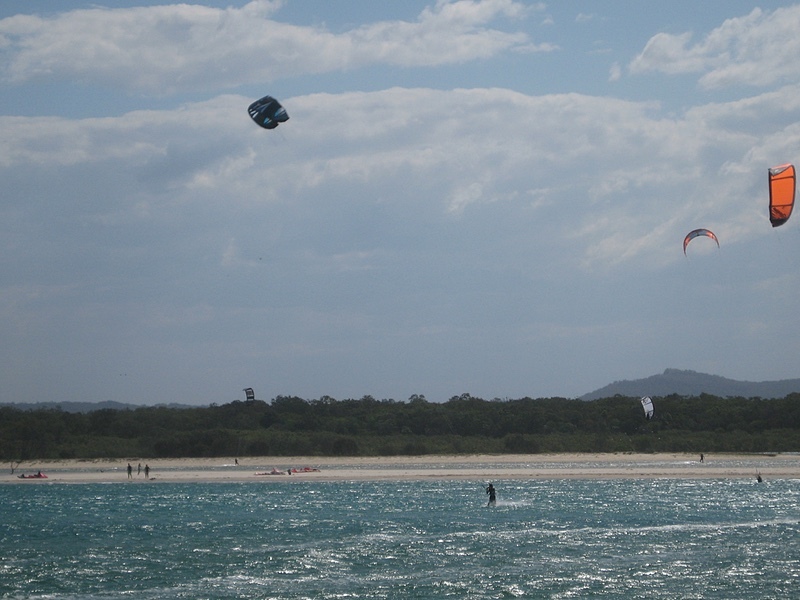 The sky is filled with kites of all shapes and sizes, their colours highlighted by a background of fluffy clouds. 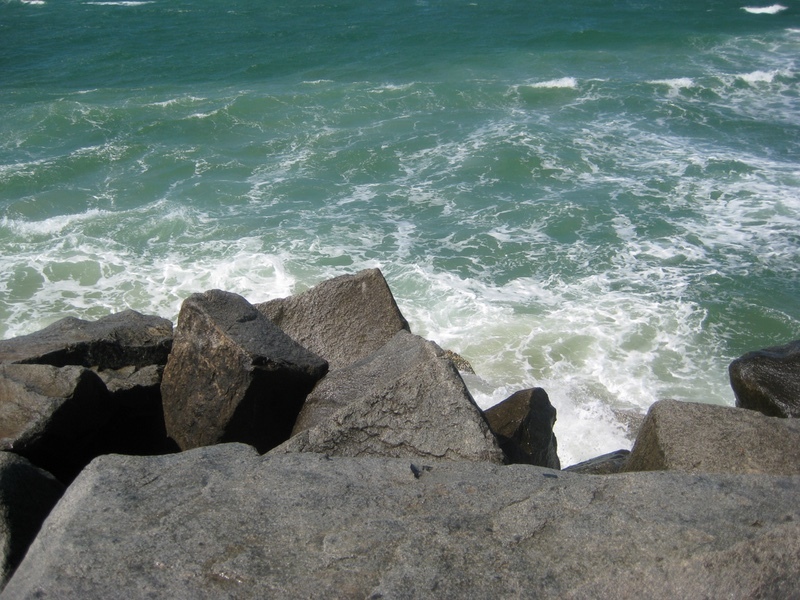 Waves surge around the rock wall which protects the Spit from erosion. 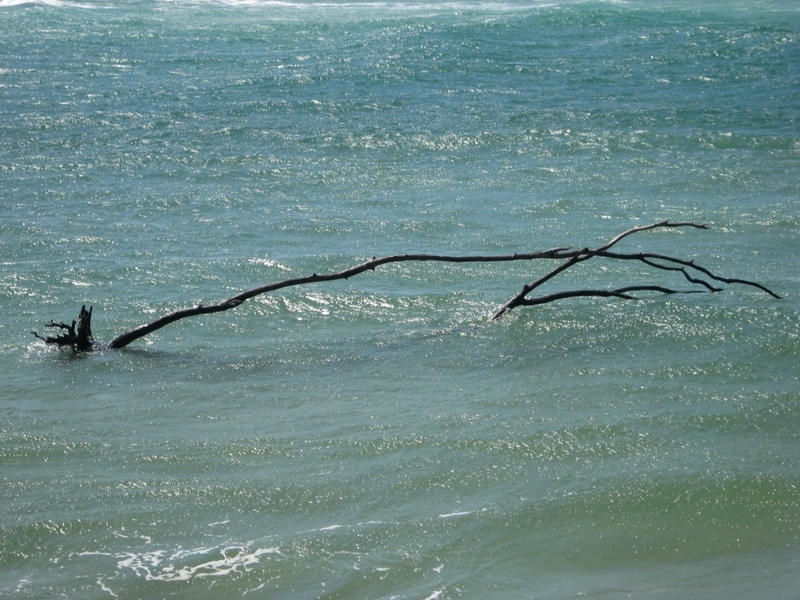 At last THE shot - a massive piece of driftwood wallowing in the sea with the sun sparking off the water. 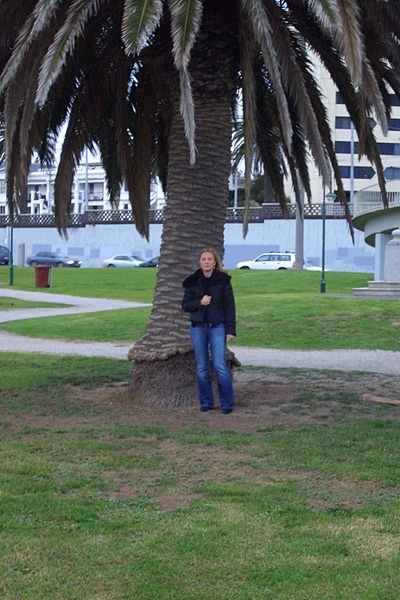 St Kilda Pier, on a grey day, the place where Rosine Ziden decides she needs to free herself from a life of virtual slavery. 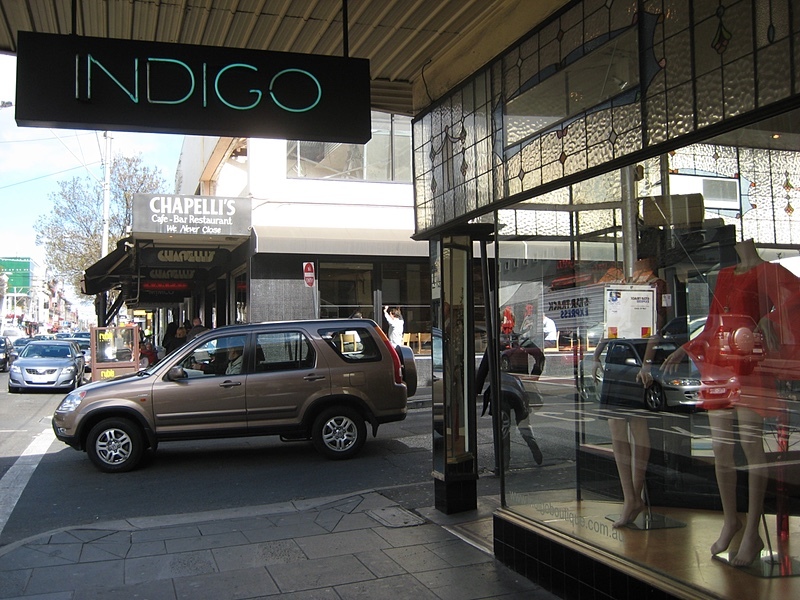 Clogged traffic in Chapel Street, similar to that experienced by Omar when he takes Jamal on the fateful trip to the barber. 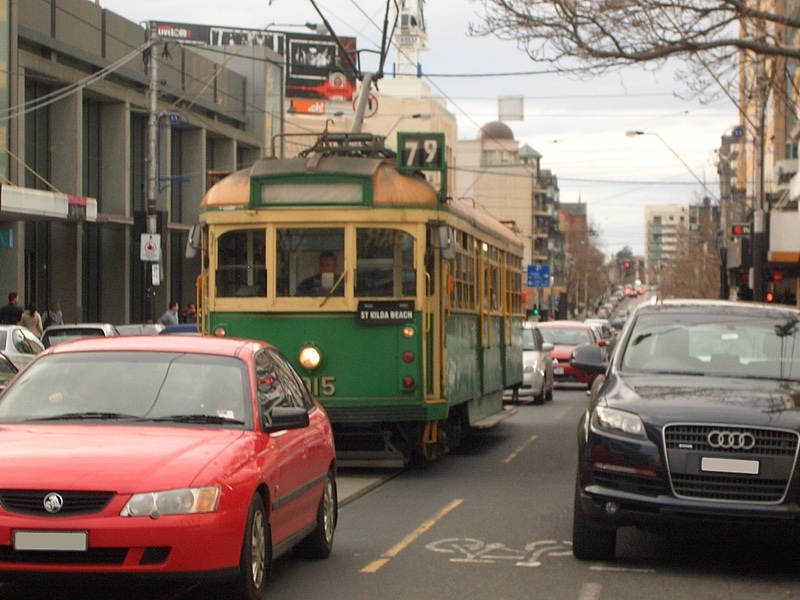 Beaconsfield Parade, near the Port Phillip Bay beach where Frank Lister Bull goes windsurfing. 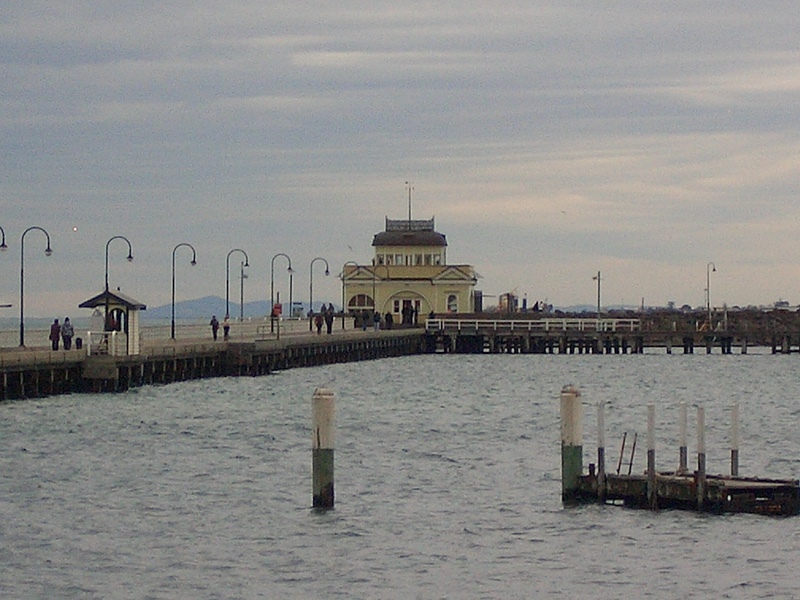 Another grey-day shot of St Kilda Pier! 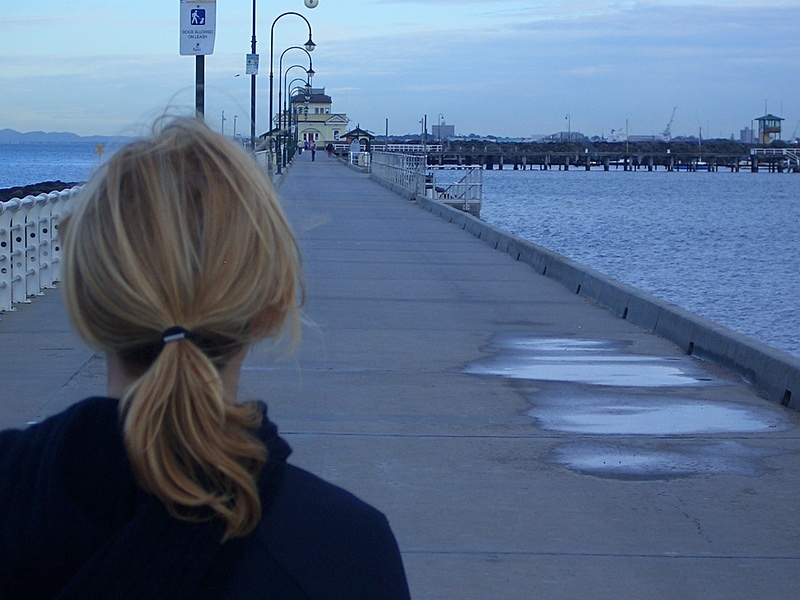 The stretch of water inspiring Rosine to make her decision. 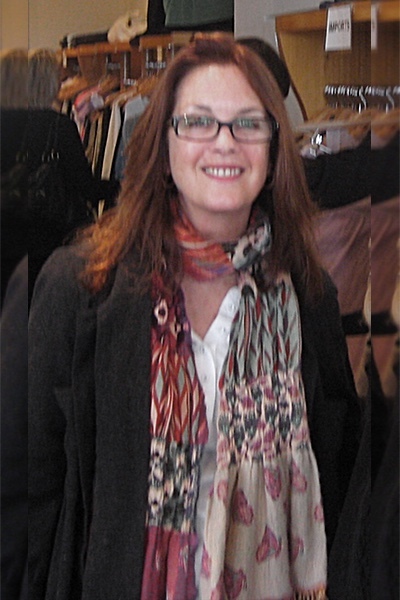 Fashion designer and proprietor of Indigo boutiques, Jill Gould was a wonderful source of information about the challenges thrown up when working in the clothing industry. Jill’s help was invaluable during the writing of Couscous Threads. 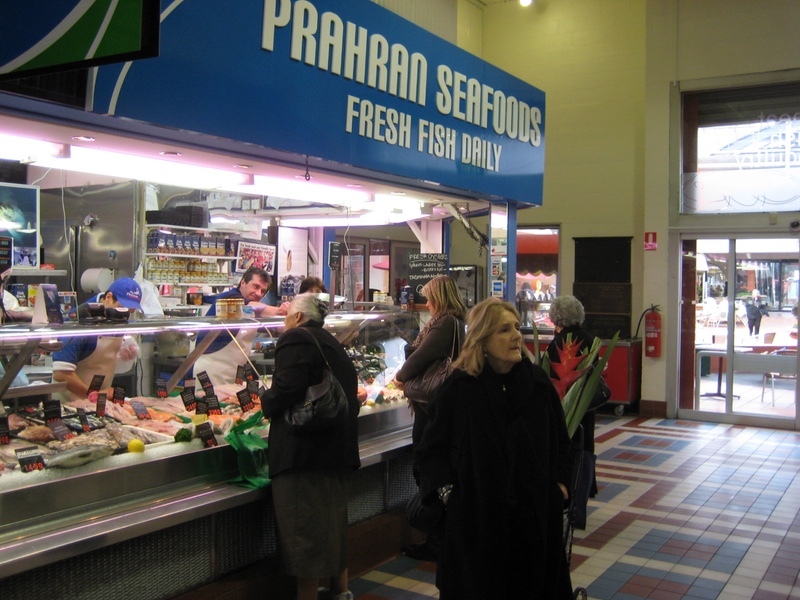 The author visits Prahran Fish Market - inspiration for the character of Bembri, Frank Lister Bull’s eccentric housemate. 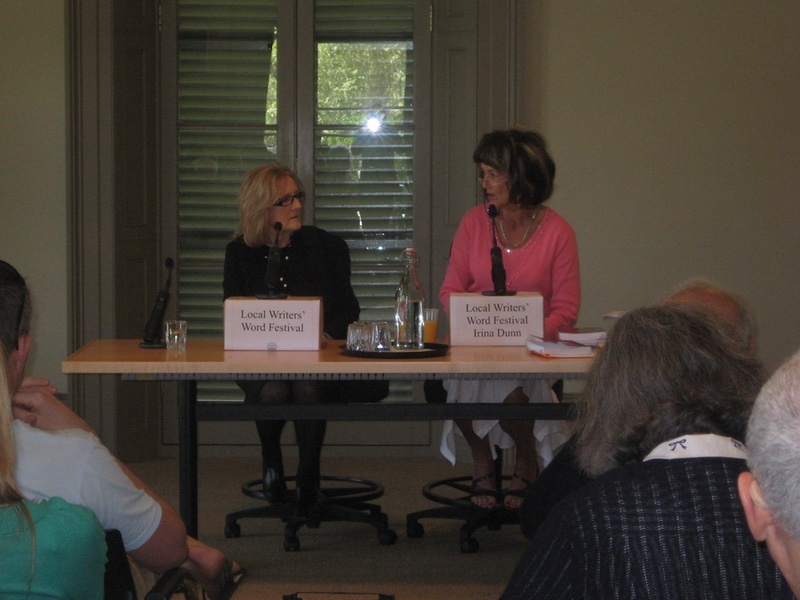 Irina Dunn interviews Cynthia at the Woollahra Library Local Writers’ Word Festival. Here they discuss the gritty real-life situation which inspired the writing of Couscous Threads. Similarly, when I began to write Stinger in a Sugar Jar, I knew ‘on the ground’ research was important to get the setting for my story right. 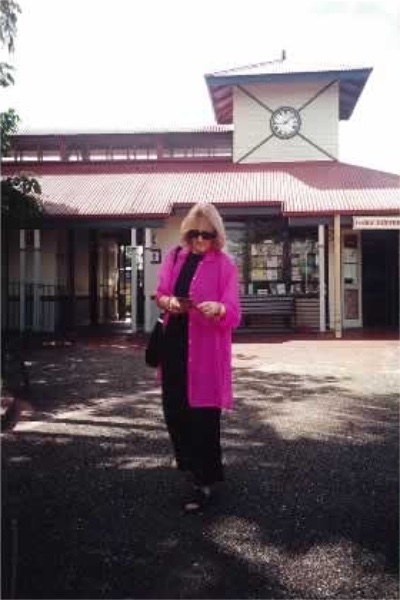 Again, I booked tickets and flew to Cairns in Far North Queensland, a place I have stayed in on many occasions. From there, I was able to check out beaches and rainforest villages. I even got up close and personal with those insane people who get their kicks out of bungy jumping! 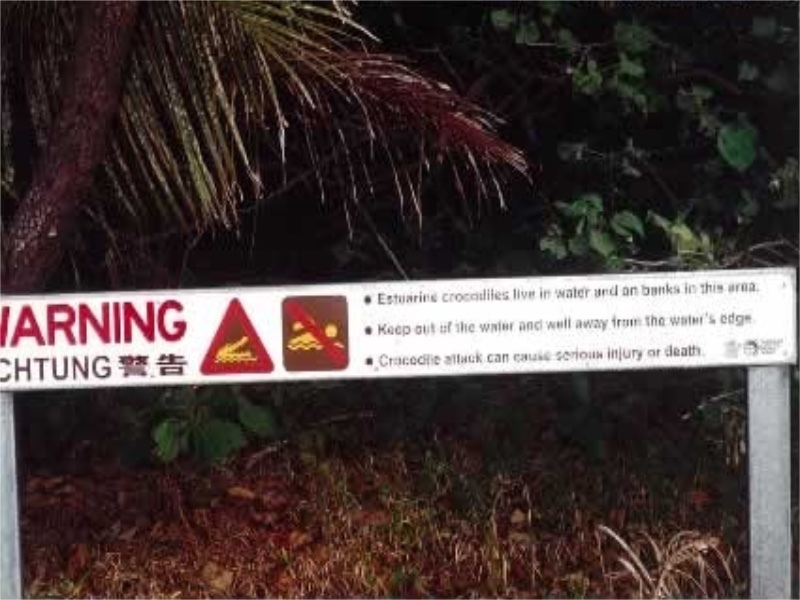 Crocodile warning on Clifton Beach - situated north of Cairns, and where I owned an apartment for many years. 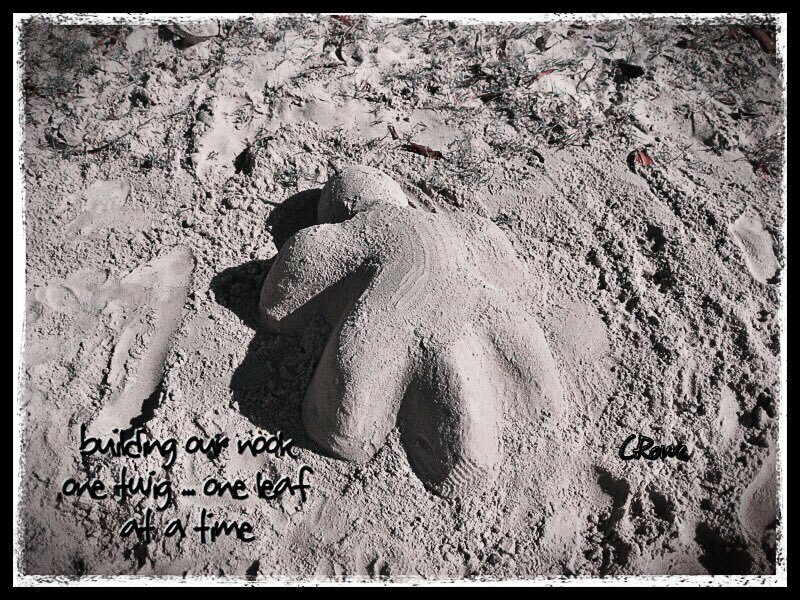 From this stretch of sand ‘Glisten Beach’, Stinger in a Sugar Jar, came into being. And, yes, crocodiles do emerge from the mangroves just when you think it’s safe to walk on by! Cynthia checks out Kuranda – inspiration for the jungle village of ‘Kooracoondoo’ in Stinger in a Sugar Jar. The author smells the fear and hears the ‘roar of the crowd’ [or was it the hiss of the tree pythons?] 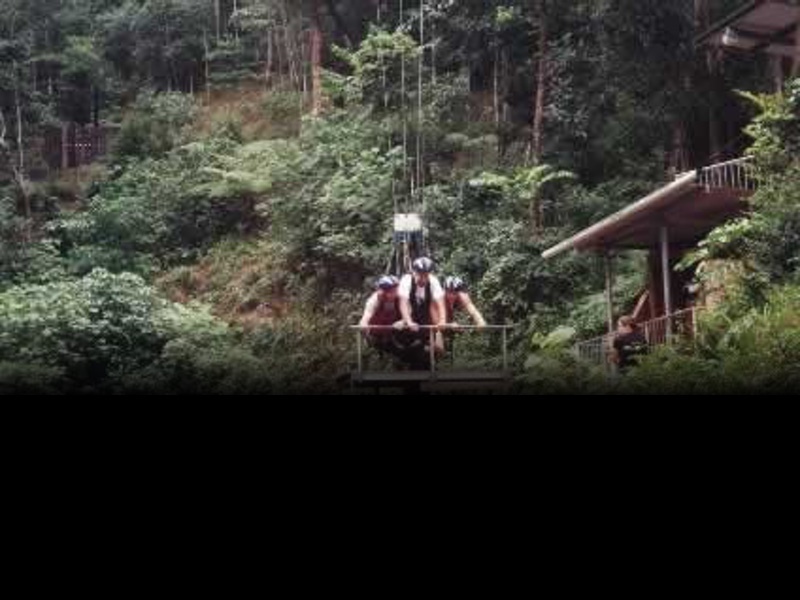 at AJ Hackett bungy jumping, Smithfield, north of Cairns. When Ants in My Dreadlocks was in the planning stage, I grabbed the chance to experience New Caledonia first hand. Prior to the nickel boom I had visited this cigar-shaped French island in the Pacific, inspiration for my first Young Adult novel Our Hollow Sofa. I was keen to see what life was now like behind the tourist areas. 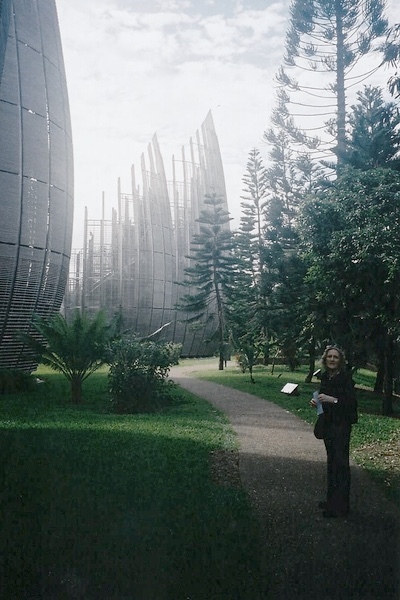 The author in the gardens of the Le Centre Culturel Tjibaou – the centre built in dedication to Jean-Marie Tjibaou who was assassinated in 1989 while leading the fight for his country’s autonomy from the French government. Chatting about the history of New Caledonia with one of the locals in Nouville – site of the former penal colony where some of the oldest buildings in Nouméa are to be found. 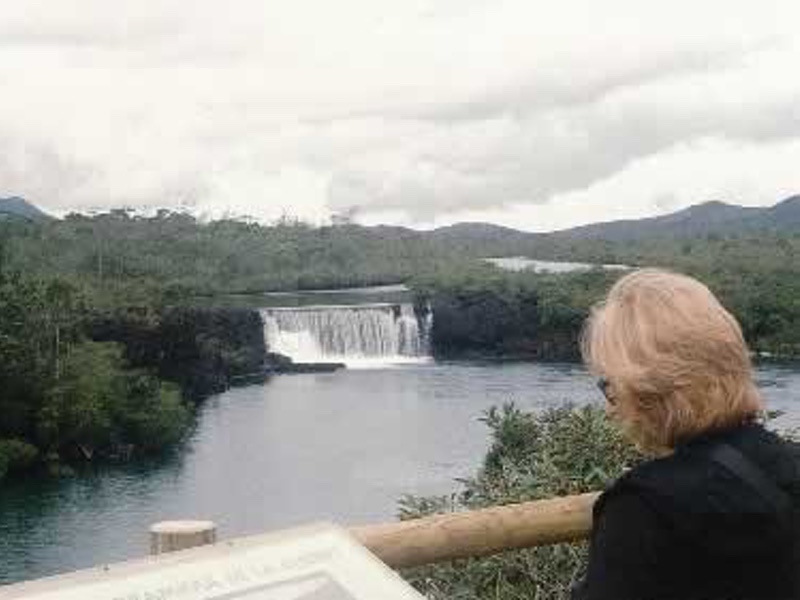 Cynthia admires the Chutes de la Madeleine waterfalls, on the way to Yaté on the east side of the island of New Caledonia.